Dr. Bandoni grew up in Hanover, Massachusetts, and graduated from Hanover High School in 1969. He commuted to Bridgewater State College where he received the award for highest grades in the sciences with a degree in Chemistry in 1973. He was accepted at the University of Pennsylvania School of Dental Medicine and graduated in 1977. After graduation from Penn, Dr. Bandoni went directly into the United States Air Force Dental Corps and was sent to Chanute Air Force Base in Rantoul Illinois. He served as a staff dentist and also obtained his pilot’s license. Dr. Bandoni’s next assignment was a remote tour of duty Osan Air Force Base, South Korea. While at Osan he also worked at the Korean Air Base at Taegu, sometimes referred to as K-2. Dr. Bandoni returned to the United States to become one of three general dentists caring for the staff of Wilford Hall USAF Medical Center at Lackland Air Force Base, San Antonio, Texas. While at Lackland he was chosen as one of six dentists to attend the two year general dentistry specialty program at Keesler Air Force Base Medical Center in Biloxi, Mississippi. Upon graduation he was assigned as Assistant Base Dental Surgeon at Plattsburgh Air Force Base, Plattsburgh N.Y., where he successfully completed his oral and written board exams to receive the General Dentistry Board Certification Specialty of the Federal Services. Specialty Board Certification made Dr. Bandoni eligible for his next assignment as 7276 Air Base Group Base Dental Surgeon and Deputy Hospital Commander at Iraklion Air Station, Crete, Greece, where he cared for the base personnel together with those stationed at Souda Bay Naval Base and the American Embassy in Athens, Greece. He met his wife Mary and was married in Crete. Dr. Bandoni returned to the United States as Chief of the General Dentistry Department at Malcolm Grow Medical Center, Andrews Air Force Base, Maryland. He was also one of two dentist chosen to treat patients at the V.I.P. dental clinic at the Pentagon, which served USAF Generals, Colonels and Chief Master Sargeants assigned there. Dr. Bandoni’s only child Larry, was born at Andrews Air Force Base. Dr. Bandoni was promoted to the rank of Colonel at Andrews AFB. He retired from the Air Force in 1996 and returned home to open a dental practice in Hanover. Dr. Bandoni served many years as Trustee of the Hanover Public Library, was president of the Hanover Tri-Town Rotary Club, and chairman of the South Shore District Dental Society. He is a member of the American Dental Society, The Academy of General Dentistry and the Massachusetts Dental Society. He received the Mastership, the highest award for continuing dental education, from the Academy of General Dentistry in 2007. 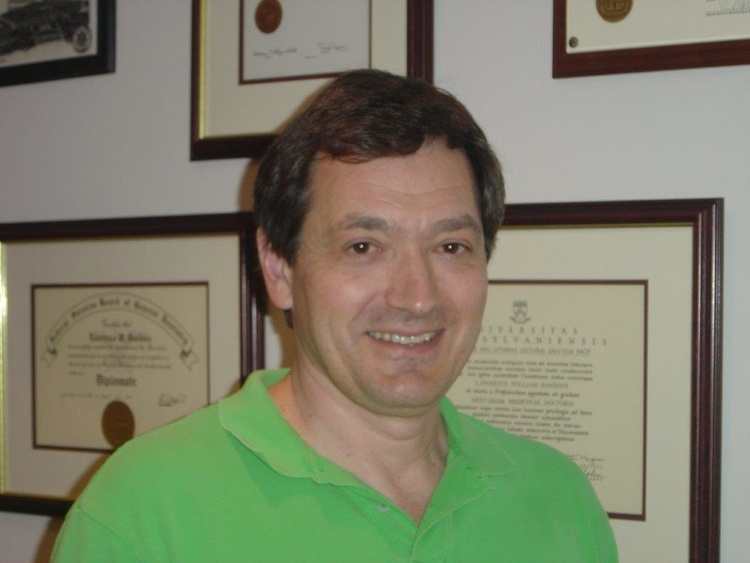 Dr. Bandoni now lives in Norwell, Ma where he enjoys being close to his dental office, jogging, playing the piano, oil painting, writing and reading.